In 1998, Sarbjit Athwal was called by her husband to attend a family meeting. It looked like just another family gathering. An attractive house in west London, a large dining room, two brothers, their mother, one wife. But the subject they were discussing was anything but ordinary. At the head of the group sat the elderly mother. She stared proudly around, smiling at her children, then raised her hand for silence. `It's decided then,' the old lady announced. `We have to get rid of her.' `Her' was Surjit Athwal, Sarbjit's sister-in-law. Within three weeks of that meeting, Surjit was dead: lured from London to India, drugged, strangled, and her body dumped in the Ravi River, never to be seen again. After the killing, risking her own life, Sarbjit fought secretly for justice for nine long, scared years. Eventually, with immense bravery, she became the first person within a murderer's family ever to go into open court in an honour killing trial as the Prosecution's key witness, and the first to waive her anonymity in such a trial. As a result of her testimony, the trial led to the first successful prosecution of an honour killing without the body ever being found. But her story doesn't end there. Since the trial, her life has been threatened; her own husband arrested after an allegation of intimidation. 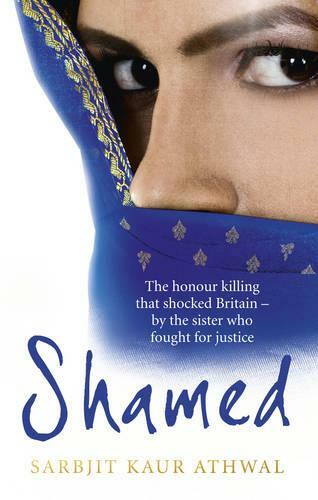 Shamed is a story of fear and of horror - but also of immense courage, and a woman who risked everything to see that justice was done.